Home Unlabelled fastjet future hangs in balance, warn auditors. fastjet future hangs in balance, warn auditors. Fastjet, the low-cost African airline backed by Sir Stelios Haji-Ioannou, has had its accounts qualified by auditors amid concerns it does not have the funds to continue trading as a going concern. KPMG said there was “significant doubt” the AIM-listed company, in which the easyJet founder owns a 3.95pc stake, could continue to trade. The qualification was the result of sizeable losses and write-downs for the 18 months to December 2012. The group made a loss after tax of $56m (£37m) in the period, and saw an operating cash outflow of $19.9m. The auditor said these figures and the fact that its prospects depend on improved trading and extra funding were all reasons for the qualification. Shares in fastjet, which had fallen by more than 70pc from the start of the year to close at 1.26p on Friday, are likely to fall further on Monday. The accounts were published almost two hours after the market closed in London on Friday. Besides Sir Stelios, other investors include Lonhro, which owns a 49.14pc, and Henderson Global Investors, which has a 6.47pc stake. fastjet’s consolidated accounts show a loss before tax of $55m, including $23.5m of write-downs of goodwill and other matters. The bulk of those other matters related to the takeover of Nairobi-based Five Forty Aviation. But the accounts do reiterate fastjet’s recent £15.7m of funding raised from US asset manager Bergen, noting that at the end of April 2013, £13.1m had not been drawn down. In addition, the airline has raised £8m through share placing since the period covered in the accounts. 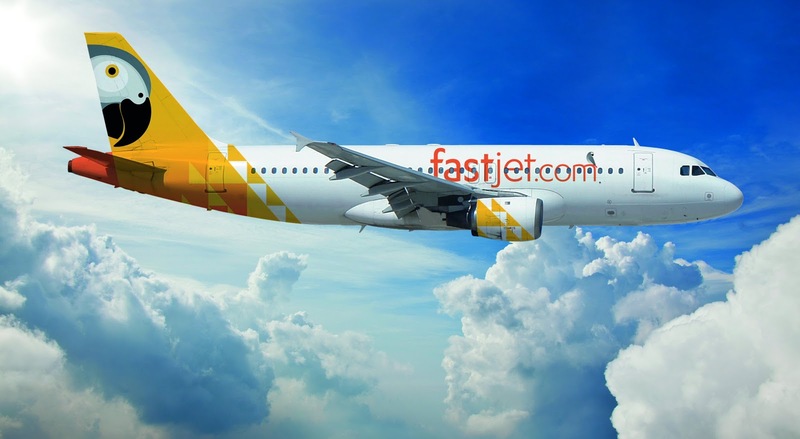 Sources close to fastjet pointed out that the loss had been flagged in a trading update in March. The sources also said that, while Fly540 operations had not performed to expectations, the board, led by executive chairman David Lenigas, was taking action to improve its performance. A fastjet spokesman said: “The ability to stimulate and grow the market using the low-cost airline model has proven to work.” He added that fastjet was the second most “liked” African airline on Facebook and the airline was expanding to South Africa.